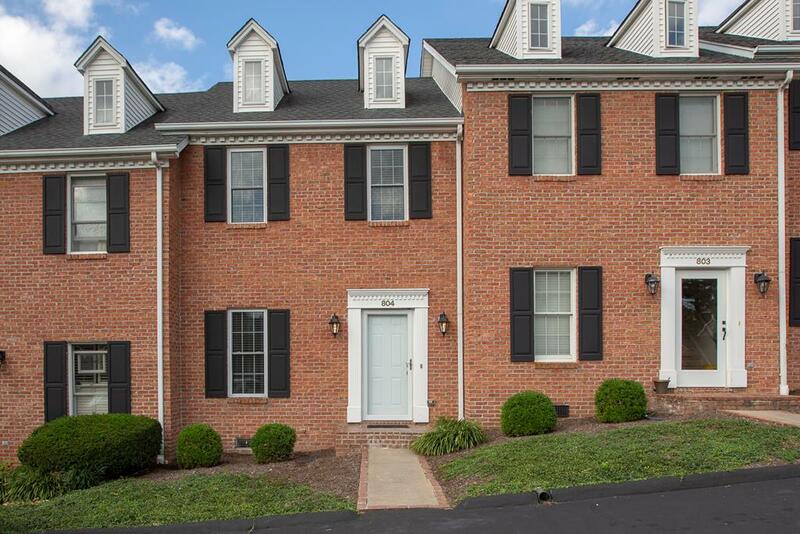 804 Wayne Avenue, Abingdon, VA 24210 (MLS #66978) :: Highlands Realty, Inc.
You'll have less stress and more time to play when you own this beautiful Condo. Lock Up and Leave... For $150 monthly, you have no yardwork, your Water/Sewer, Exterior Homeowner's Insurance, Snow & Trash Removal are all taken care of...more $$ and time to travel enjoying the good life. This savvy condo has been updated and upgraded. Stylish selections throughout and immaculate. The Open Floor Plan with Living & Dining together creates a good flow for entertaining. All the kitchen appliances have been upgraded to stainless steel. Be sure to tour the 3rd floor attic...what a large space for storing all your treasures The rear deck is just off the Living -Dining Area and has just been freshly painted. The Brick Colonial Style Architecture is stately and timeless as you enter this pristine community with great walkability in the common areas. Don't delay getting to see what an easy living lifestyle will be like for you in the future. Listing provided courtesy of Kathy Gentry of Landmark Realty.